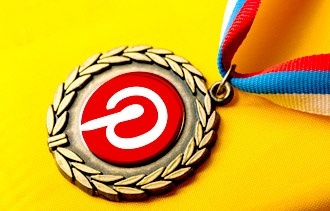 Home /Social Media Marketing » Is Pinterest a good social media platform for your business? Pinterest is a growingly popular social media platform that allows users to browse through millions of topics from gardening to art to vintage cars to flowers to wedding dresses and create their own personal pin boards, which serve as collections of all the images they like and want to share with their followers. If you are interested in using Pinterest as a way to promote, display and advertise your business, consider the fact that it isn’t the right platform for every business, but certain types of companies and brands can greatly benefit from using Pinterest. Your company or organisation has a strong visual component. Take a quick browse through Pinterest and you’ll see a lot of visual content from artwork to cityscapes to handcrafted jewellery. If you are a custom wedding dress designer, for example, Pinterest is the perfect place to show off your work. You hold a contest in which you ask your customers to participate with photos. Say you’re a coffee shop and you want customers to post photos of their favourite coffee drink. These photos are great material for your Pinterest board! You’re involved in the arts industry. Whether it’s a museum, an art school, on the set of a television show or something similar, Pinterest boards that have an artistic component are hugely popular and largely shared amongst users. Every company has a story to tell and Pinterest allows you to tell it using visual imagery while reaching millions of people around the world. If you’d like more information about improving your social media presence or if you have any questions about professional social media optimisation and social media management, please contact WSI today. We look forward to hearing from you!